While choosing the best wireless microphone for you; be clear about your requirements. Market is flooded with wide range of options; which serves various needs of individuals. Before exploring the best option for you, make yourself educated about the components and working of the wireless handheld microphone system. The Transmitter; converts the audio signal (captured by the mic. i.e. your voice/music) into radio signals and send to transmitter. The Receiver ; converts the radio signals back into audio signals and send to attached sound system. Wireless headsets microphones are not something new for us but the updated technology has really given it a real take off in its overall quality. Since it lets you go free from cable messes, Wireless microphones give freedom to roam around while doing your work. 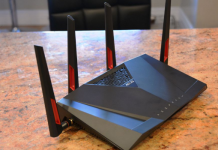 Getting wireless is recently emerged trend in electronic solutions; you could see every electronic item is getting wireless now, wireless earphones, wireless mouse, wireless keyboards etc. It’s not necessary for you to understand all technicalities of wireless headset microphones but still you should be aware of the pros and cons of your possession. 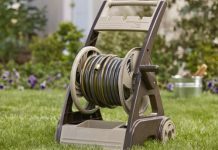 Most of the products available in the market are 100% compliant with the Federal Communication Commission’s (FCC) new rules governing wireless systems. Following in this article we have compiled up a detailed study on various aspects i.e, model, make, battery hrs. Weight, best use etc. etc. of various popular wireless microphone options available in the market. 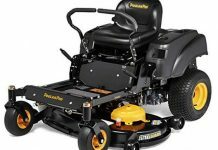 There are many models (which come in different size, color, style & price range) worth looking at; we went through bunch of these to explore the best among them. 2. Sennheiser EW 135 G3-A-US handheld cardioid EW system – An Ideal choice to handle versatility of music. 3. GTD Audio G-622H 200 Channel UHF Mic. System – The Professional Wireless Microphone. Why to choose ABOX Portable Wireless Microphone Karaoke? A little bit ‘Expensive yet Premium’ quality product. This Handheld Transmitter with SM58 Microphone has interchangeable microphone cartridge, the SLX2/SM58 has a timed backlit LCD display, frequency and power lockout. Having Auto Frequency Selection and Auto Transmitter Setup, this SLX system scans the wireless landscape and identifies a clear channel; which will be best compatible to it. Instructed by an infrared link, at single feather touch button; the transmitter automatically gets sync with the other end receiver. 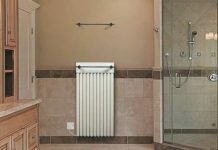 The SLX system supports up to 20 compatible systems in specified range. Considered as the best wireless headset microphone for singing live, it’s quite favorite for those who look for quality over price. On operational level, the SLX system is very easy to install, a user manual guide is also available along with the microphone for installation help/ instructions and for troubleshooting. Shure’s SLX sound system is complied of advanced technology, which gives more transmission clarity and unbelievable range to wireless system. 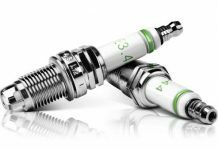 This technology implies variable compression ratio unlike the restricted compression ratio used by traditional wireless sound systems. It has automatic transmitter setup. It operates at 518.000-542.000 MHz. Operates at less power < 50 Watts. The SLX2/SM58 works with SLX Wireless Systems. Works with 2 AA alkaline or rechargeable batteries. If you are purchasing separate wireless components, don’t forget to match their frequency bands to make sure for proper system operation. Operates at low power < 50 Watts. Battery life up to 8 hrs. 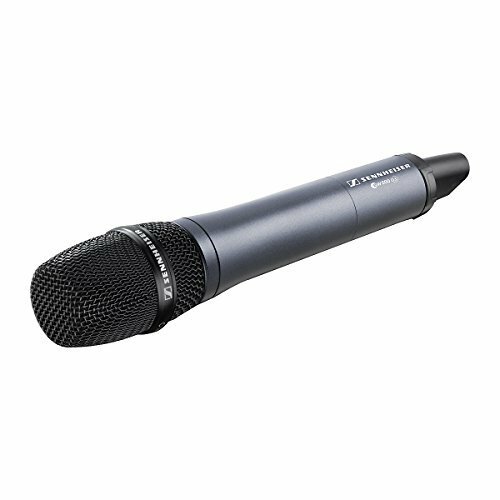 You can rely on this handheld microphone for LIVE performances, any stage shows, DJ mobile, school functions, or for any announcements in big/public events. A good mic. For public events, where it moves hand to hand, one needs a strong hand piece for that, this microphone is the one for such events, which promises high end performance for not much dollars. Also Read our latest Best Wireless Keyboards & Top 13 Wireless Earbuds reviews on our site. One can’t overlook the reliability of this high end wireless metal microphone. 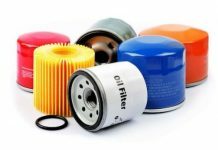 The metal casing ensures its long life and rough handling. The EW 135 G3 wireless vocal mic. System from Sennheiser, syncs with the receiver with a single touch button. It also allows singers/users to charge the optional rechargeable cartridge while it remains in the transmitter, and the HDX compander is responsible for giving crystal clear sound. What makes the EW-135 a High Class Microphone ? Over traditional microphones it has enhanced AF frequency range, which adds in range for audio sensitivity. It provides user-friendly menu operations for having more control. The inbuilt Auto-Lock function ensures to avoid accidental change of settings. 4 step battery indicator, which also reflects on receiver display. Intact Equalizer and Sound check mode. 42 MHz bandwidth: 1680 tunable UHF frequencies to ensure interruption-free reception. Enhanced frequency system which support up to 12 compatible frequencies. Pilot tone squelch for knocking out the RF interference (while transmitter is turned off). Automatic frequency scan for available frequencies. RF frequency range: 516-865 MHz. What comes along the microphone in the box ? Allows charging of rechargeable cartridge while it remains in the transmitter. One of the best wireless microphones for Karaoke host, professional musician and DJ, public Entertainer. Most users are satisfied with the price, looks, quality and performance of the GT Audio 622H. Being available at quite low rate, these microphones are worth every penny. This is quite an entry-level microphone system and is one of the best affordable wireless microphone systems available in the market. GTD-Audio’s G-622 wireless microphone system is specially designed for professionals, which ensure superior sound quality. Its customized design serves as perfect choice for versatile professional application with 200 selectable frequencies. 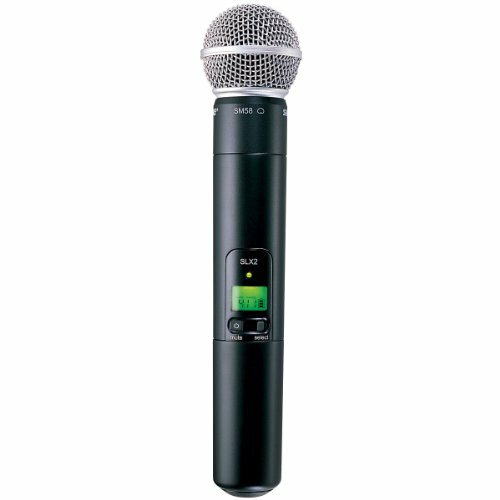 It is one of the top rated professional wireless microphones. It can be placed close to speakers with no feedback/echo or distortion in sound quality, thus makes it perfect for professional use at any indoor/outdoor events. Upto 100 Selectable frequencies for each channel. Up to 15 Receivers & 30 Mics can be added simultaneously. Automatic frequency scans to select the best match frequency. Auto synchronization of the transmitter and receiver. Backlit LCD display showing RF / AF level, Frequency and mute status. Upto 200 selected frequencies to connect with. Individual volume control on each channel. High frequency range upto 600 feet. Sometimes the second mic. 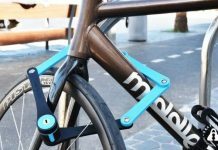 has problem with dropouts after a little while of continuous use. This pocket friendly mic. system is best wireless microphone for church, and other public and charitable organizations, which face budget constraints. For those working at budding stage of their business/jobs can also opt for this Wireless dynamic microphone, for their expected results. If you are a stage performer and address huge crowd, then this is the perfect pick wireless microphone for you for delivering your best to the audience. This will sound clear for any musical style be it metal or jazz. 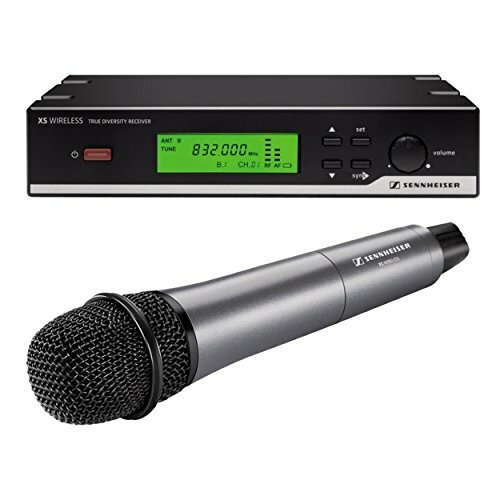 Your search ends at selecting this handheld wireless microphone, if you are looking for something dependable/solid/clear to ensure your every performance to be the best. For both single and multi-system working arrangements, the CR99 Wireless Receiver has capacity to work with total of 80 operating channels, selecting the best frequency match. 8 simultaneously system per frequency band. Simple-to-use with easy operation and auto-scan frequency selection. The UHF frequency band In the Samson Concert 99 Handheld ensures avoiding interference from wireless routers and other devices. Concert 99 Guitar – Frequency-Agile UHF Wireless System, Includes Samson GC32 Guitar Cable with Locking Connector. 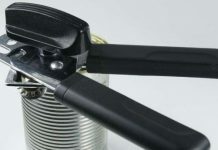 Easy to set up for use, It is also available in D-Band and K-Band Frequencies. The built in microphone capsule placed inside the transmitter of Samson Concert 99 Handheld is responsible for delivering high level of vocal accuracy, which makes it one of the best handheld wireless microphone system. AC adapter included in kit. 100 mtrs of range, which is quite less as compared to other options available at this cost. It is best to capture any type of audio and is idle choice for all stage performers, educators, gym instructors, public announcer or even for house of worship speakers, who are in search of wireless freedom while doing their job. Build with ultra advance technology this microphone system make it the ideal singing partner. The feedback-resistant, super-cardioid microphone capsule produces accurate vocals. With German made components under stringent stage-tested technology, the EW 500-945 G3 is made best for desirable performances for leaving a lasting impression and makes it as one of the top rated professional wireless microphones in demand. The solid hand-held transmitter displays all required information on its large display. It works on 2 AA batteries or optional rechargeable batteries. Up to 32 compatible frequencies. Pilot tone squelch for eliminating RF interference. Enhanced range for audio sensitivity. via infrared interface technology for Wireless synchronization. Easy to operate menu options. Auto-Lock function to keep settings saved. 4 steps Battery indication, also displayed on receiver. Sound pressure level (SPL): 154dB(SPL) max. A Sennheiser XS Wireless 2 system offers freedom of movement, tons of flexibility, and is quite easy to operate. The large LCD display is available on the receiver to opt between manually/automatic configuration of your channel. 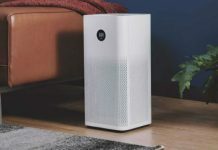 While firing up one of these systems, you can expect high frequency pounding bass, crisp treble, clear voice and low-noise without any feedback. 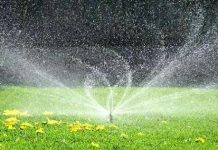 It is easy in installation because of its automatic synchronization for best compatible frequencies via RF remote channel. 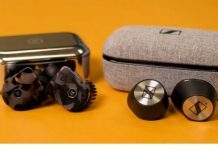 With over 65 years, of in-depth audio research, Sennheiser have offered market with premium microphones and headphones. Their handheld wireless microphone products are known as best wireless microphone for singing live. The wireless microphone allows you to get rid of cable mess and you can move freely on the stage; without having you tripping over the cables. The XSW 35 and 65 sets are the right pick for LIVE singers and public speakers, even if they are on open stage or facing huge crowd. Its high-tech condenser capsule is with strong feedback rejection feature. Every Sennheiser product is bound to undergo stringent quality control process to ensure that the end product will be durable& great-sounding gear for everyone who will use it, no matter what his purpose will be. The Shure BLX series of dynamic wireless microphones promises amazing wireless technology, at quite pocket friendly price. BLX gives you excellent, crisp, clear reproduction of vocals. Shure BLX Wireless Systems incorporates high end professional quality sound with user friendly setup and an advanced interface for legendary audio results. 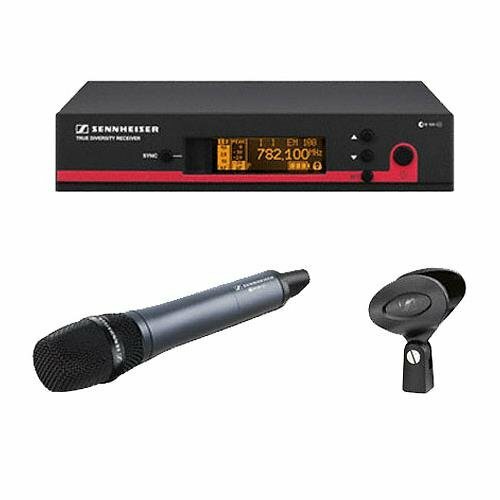 The Shure BLX 288PG58 Dual Handheld Wireless Microphone System has dual PG58 handheld vocal mics that ensures superb voice clarity for various singing and speaking purpose. The receiver has a single touch quick Auto-Scan feature to locate and select the clearest frequency to operate with. 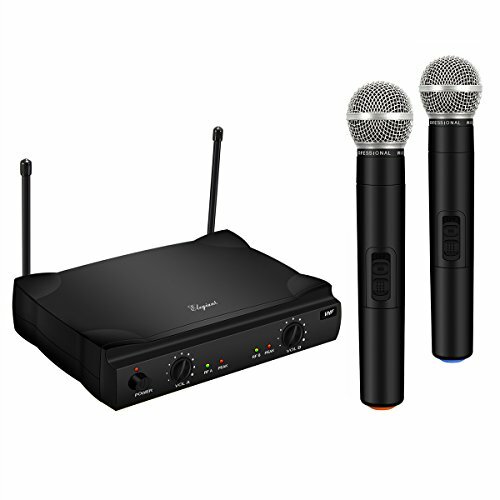 Precision-built and available in wide range of configurations, it’s the best wireless microphone for karaoke and other stage performances. The durable BLX88 offers simple setup, super gain controls, excellent voice quality and microprocessor-controlled internal antennas to be used with BLX Wireless Systems. This technology uses variable compression ratio unlike the restricted compression ratio used by traditional wireless sound systems. Shure offers wireless confidence with promising sound quality through their industry-renown microphones, with decades of experience they got wireless design proficiency. 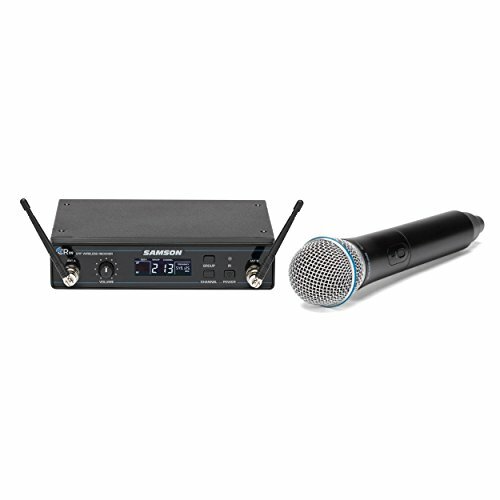 This wireless microphone is ideal for the Dj, karoke, lead vocalist, all public speaker, club performances, bar shows, wedding functions, corporate conference or even for House of Worship. 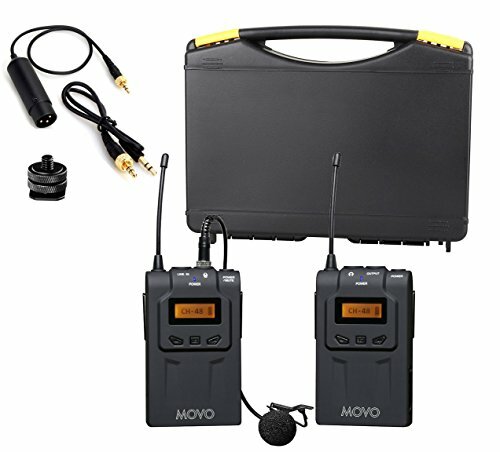 The Movo WMIC70 ensures the professional-quality audio capture at truly unbelievable price. 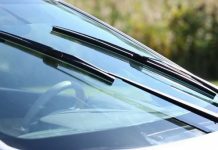 These are quite lightweight and specially designed for long hrs. Performance. The advanced audio processing technique ensures a wide dynamic range with no overloading issues for loud inputs or any type of background hiss during long hrs. Use. Very much pocket friendly, it’s difficult to challenge its quality sound at this low cost in the segment of wireless microphones. 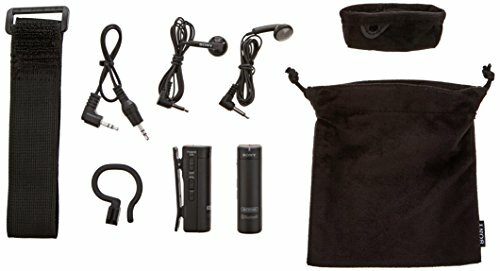 This is one of the best low cost wireless microphones, for those who are looking to cut the cord to move freely while he speaks. Engineered to be drastically reliable and full of professional features the WMIC70 is ideal for EFP (electronic field production), all type of film work, stage performances, wedding announcements or LIVE public shows. 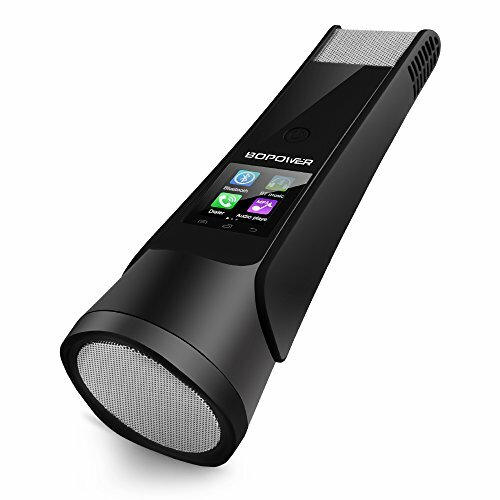 This is a Mini Handheld wireless Karaoke microphone with Built-in Bluetooth Speakers. This microphone is one of the best option, that you have on the market, and it comes with excellent features. Some of the features coming with this type include that of portability, which makes it easy to be carried from place to place. 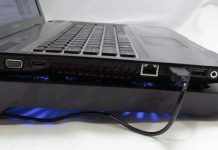 It supports connecting to android, apple systems; with the app you can easily connect it with your phone or tablets. It’s like a professional wireless mic having its own Bluetooth speaker and flashing light system. It has advanced interference free and noise cancellation technology, to grant most crystal clear sound quality. 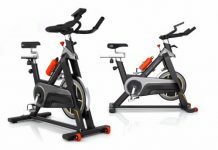 Its advanced technology ensures smooth performance, crisp sound without any dropouts, even if used continuously. A handheld wireless microphone with a portable mini home ktv for karoke, music playing and singing. It has intelligent mixing chip, advanced compatible design, highly Professional audio processor and high-end dual speakers. It has 3 layer high-density noise reduction system, that makes it remarkable and excellent for producing the outstanding sound quality. Working time: 3 to 5hrs. 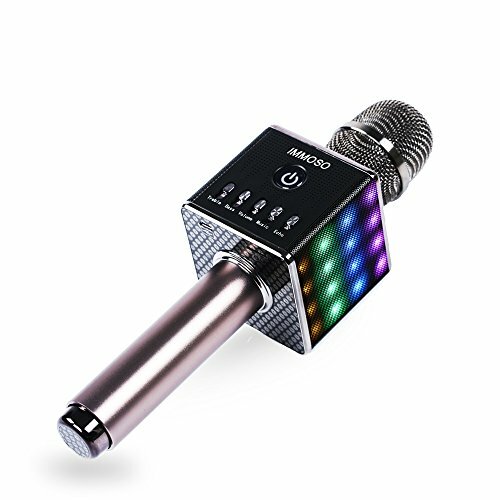 ABOX Bopower Bluetooth Karaoke Microphone is Portable Karaoke Microphone, which could be your most convenient party partner. It stands in front of the queue for best wireless microphone for karaoke at an affordable price. It can be used as wireless microphone or Bluetooth speaker, it also work well for music playing, calling and sound recording. It supports most of the available singing apps, which gives you freedom from going to KTV, just enjoy your passion at fingertips. It is equipped with stable Bluetooth 3.0 version, which ensures more steadily and reliable (effective distance is 10m) audio transfer. Easy compatible with many devices i.e. Android phone, iPhone, iPad, and PC. Touch screen makes it more convenient and fun to use. Enhanced capacitive touch screens in TFT 128*128 resolution, offers you a huge colorful screen display. A high definition inner-magnet loudspeaker ensures high fidelity, no feedback and no delay sound for you. 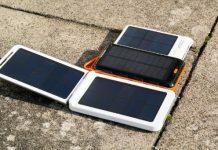 It has built in Lithium Polymer batteries (1800mAH), which can be recharged very easily and quickly, it can work for 4 hours on full charge. Support TF card, MP3, MP4. What you should expect from these microphones is excellent sound quality at affordable price. Its low cost allows you to get rid of any struggle with your budget. This is best product if you are looking for best wireless microphone for churches. ELEGIANT VHF Wireless Microphone System comes with 2 Handheld Mics. Be it corporate interviews, LIVE singing, or parties, you can confidently use it to suit your needs. The Portable Professional Dual Channel Karaoke Singing Machine is well compatible with Home KTV Set, the professional quality sound makes it suitable for any audio performance. 2-channel VHF system: Professional and Intelligent Dual Wireless Microphone System, uses the VHF 220-270 MHz segment, to avoid any types of interference in frequency. 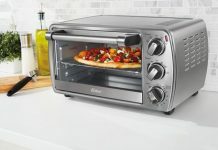 It has unique and scientific design, all displays including Individual front-panel volume controls and audio mute circuitry, provides feather touch on/off switching. It is Ideal choice for professional to use at any events be it Karaoke, sound source recording and amplifying, vocal LIVE concerts, stage performances, corporate conference, musical shows and opera, church, school, function hall, family, party, etc. Equipped with professional receiver, the frequency of the transmitter and receiver can be easily synchronized. 2. Spurious Emissions: Over 45dBcarrier ware. 3. Microphone element: Unidirctional dynamic microphone. 5. Current consumption: About 25mA. 6. Battery life: Over 8 hours continuous operation. Sony ECM-AW4 Bluetooth Wireless Microphone System is perfect companion for Camcorders, DSLRs, Audio Recorders, with Bluetooth connectivity. 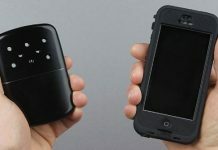 Completely battery powered dynamic wireless microphone, which allows the user to record him while walking around his job. Any recording device that features a 3.5mm mini-jack can use this microphone; virtually any kind of video camera, DSLR, or microphone input. The advanced mic. system eliminates the need for a separate intercom system. It has light and compact design that makes it easy to carry while out-door filming. It ensures to have clear reception with its inbuilt Bluetooth connectivity technology. The system also supports talkback communication. You will get options to select while recording voice i.e. if you need to pick-up the voice of the single subject, or both the subjects and also if the camera operator’s talks. One can stay in touch with his subject by using the provided earphones in the package. A belt clip and an arm band helps in attaching transmitter according to dressing of your subjects. Now lets us see what exactly you can get along this mic. 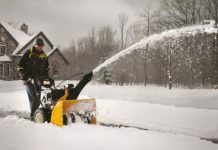 Can work for up to 3 consecutive hrs. Best to be used in open event even if there are 1000 people, this promises crystal clear voice and spoken words. Stage performances, LIVE shows, interviews, corporate conferences/discussions. All the LIVE singers, Event hosts will be happy with its sound quality. Immediately after their first time launch, they gained overnight fame and have become integral part of sound industry. 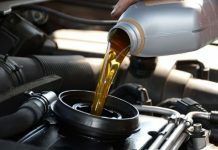 This section of article highlights the various things to be checked before choosing the right one for you. UHF: produce crystal clear sound with less dropouts but it needs high power and is quite expensive. VHF: on the contrary this technology is less expensive and needs less power but you may experience more interference and often dropouts while usage. Handheld microphones: the simplest type of wireless microphone is great for LIVE singers, Lecturers, stage host or someone who needs to move a lot while their work. Lavalier microphones: this gives more freedom to user than any other form of wireless mic. Sytem. 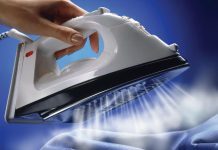 Because of its small size it allows moving your hands and body freely. Best used for speech and corporate presentation types of jobs. Headset microphones: is best choice for active movers, perfect pick for theater actors, dancers, singers, the headphone clips behind the ear and places the mic. quite close to mouth which ensures better recording od voice. 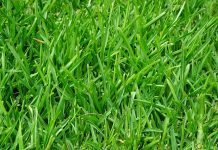 Features: there are many other useful features, which can affect your choice i.e. Budget: last but not the least is the yopur budget, you can’t ignore this factor, wireless mic. Sytem are available in different price range from low to high. Its better first to shortlist option in particle price range then compare the other technicalities into consideration. 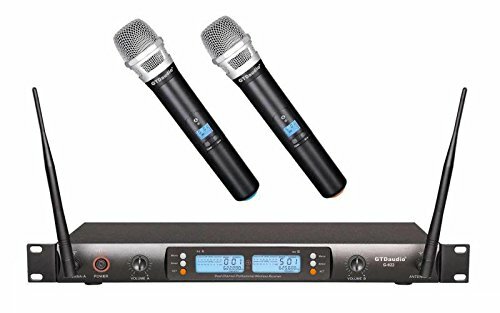 The wireless microphone system which we feel really stand out among others is GTD Audio G-622H 200 Channel UHF Professional Wireless microphone Mic System. Credit goes to the incredible performance, wide range of frequencies to work with, no. of receivers and mics. That can be used simultaneously, brilliant battery life, and last but the most important is its low price. You can opt. from Shure, Sennheiser, Sony like brands if you are ready to go for expensive range of wireless microphones. Technology has managed to improve continuously and wireless microphones have become better and better with every passing year, in terms of their audio quality as well as looks & design. There exists different wireless microphones to suit your all requirements be it for LIVE singing, stage performances, stage hosting, party, church, school or even for public events. Everyone who is in need of mic. And looking to get freedom of movement; can select the best suited option for them. Some branded wireless microphones are available at such affordable cost that you can even gift it to someone you love, may be your friends, kids or anyone who likes singing every time. Since there is wide range of choices, you can select from, but here in this article, we have explored and collected the best wireless microphone systems of 2017. It’s important to pick the right wireless microphone, which fulfill your requirements, be clear about your needs, make a checklist and choose the best one for you, before paying bucks for the product. In case you think that we left out any other great wireless microphone option, feel free to share your knowledge with us and let us/others know about it. When It comes to microphones Shure & Sennheiser are the most popular and used by plenty of us. But I want to to know is there any other brand which is worth for live singing. I need good microphone of-course wireless for my YouTube channel. Mention if you know any other product.